MindGear Labs is now open in Madison. This facility is designed with all the tools, resources and equipment necessary to Invent, Create and Inspire your students. Our community now has a family-friendly facility where you can build almost anything from almost anything! Please take a look at the attached press release and visit the website, www.mindgearlabs.com to learn more. This concept has grown phenomenally on the west coast and Rob Adams has brought it to you! As business development lead, I welcome any of you to a personal tour whenever convenient. 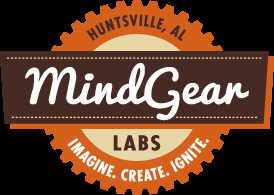 MindGear Labs, LLC supports the Huntsville/Madison community by providing fab lab equipment for use by the general public and local businesses. Our lab is open to anyone who has a great idea and wants to build it. We are committed to providing a relaxing environment where members can share ideas, work on their projects, take classes and attend seminars, do research, and just hang out.